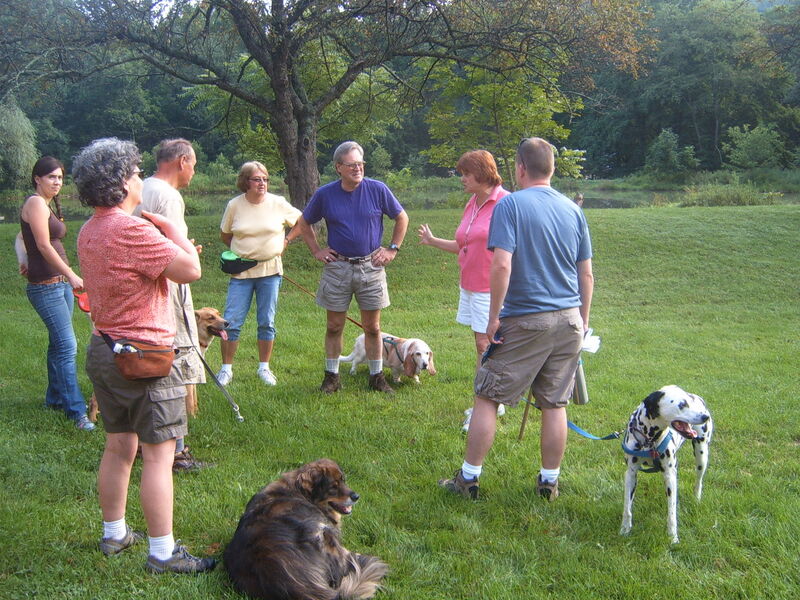 Here we see the human and canine hikers ready to tackle Swamp Creek trail at Strawberry Hill Nature Preserve near Fairfield. This lovely 500 acre reserve is a non-profit foundation that protects an important stretch of intact forest adjacent to the Michaux. Luann Battersby was our guide for the hike and she did a great job of trying to keep us together. However, Lilly the bassett has a hiking pace somewhere between slow and glacial and she and her companion fell far behind! It was a good hike and there is an amazing variety of ferns along this stretch of trail. Highly recommended short hike of about 3 miles, depending on varying trail links. It’s about a 90 min. hike, unless you’re with Lilly! 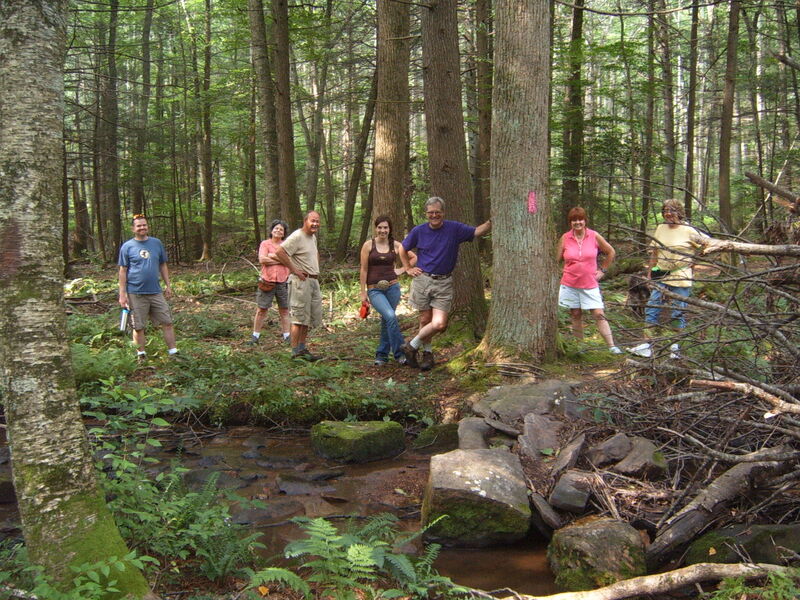 The next hike is August 25 at Caledonia, meeting at the main parking area by rte 30 at 9 am. See you there! Here you see the group patiently waiting for our shortest hiker. 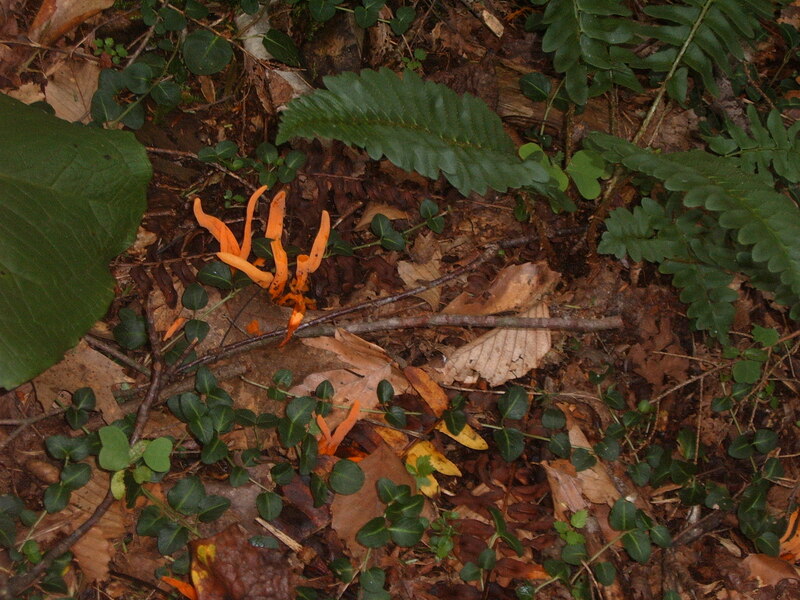 This is a mighty odd mushroom display in the leaf litter….still waiting for an ID….